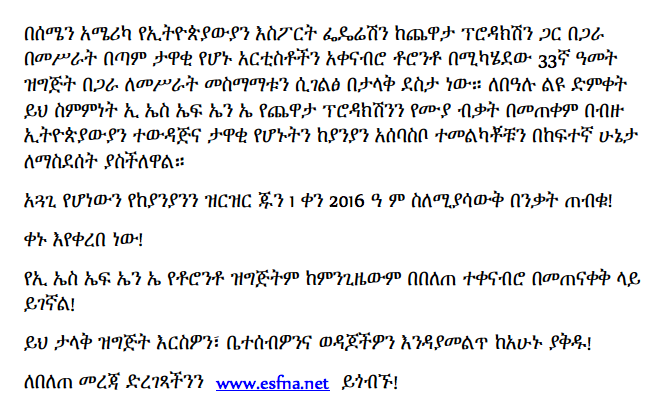 The Ethiopian Sports Federation in North America (ESFNA) is very excited to announce its official partnership with Chewata Production to bring the hottest artists in Ethiopian music for its upcoming 33rd annual Soccer Tournament & Cultural Festival, to be held July 3 - 9, 2016, in Toronto, Ontario. 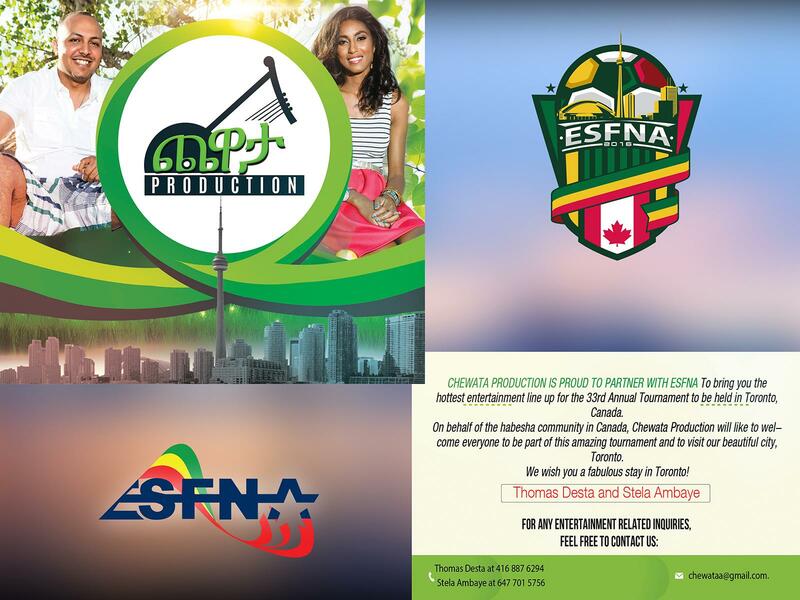 This partnership couples the mass appeal of the ESFNA brand with Chewata’s renowned entertainment offerings, which will serve to create some of our most amazing nightlife events to date! With only 35 days remaining until Opening Day, the 2016 Tournament is right around the corner! Mark your calendars, and be sure to book your rooms by June 24th using the code EFN to take advantage of our special discounted room rate. Stay tuned for a special announcement this Wednesday, June 1st, in which we will reveal our star-studded artist lineup. The 2016 tournament promises to be a historic event. You definitely don’t want to miss this!